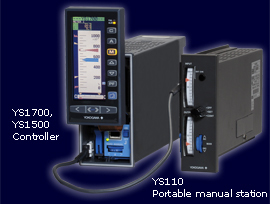 The YS1350 is a manual setter that allows for manually outputting setting signals to controllers and the like. 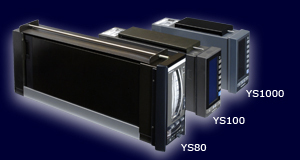 The YS1360 is a manual setter that allows for manually outputting operation signals to operation terminals. The YS1350 and YS1360 include as standard an operation mode selector switch [cascade (C) and manual (M)], status input-based operation mode selector function, and operation mode discrimination status output function. 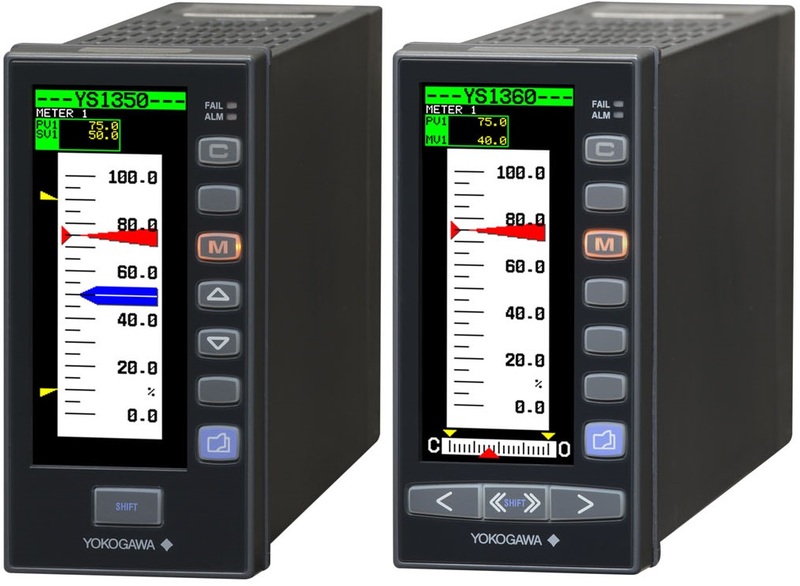 The YS1350 and YS1360 offer high reliability thanks to Yokogawa's proprietary technology, user friendliness, and expandability. The basic type conforming to the DIN short case size contributes to space saving for mounting, and complies with standards (CE and FM). For easy replacement of earlier models requiring the same panel cutout dimensions and depth as those of earlier models are also offered. A full-dot, semi-reflective color LCD Clear visibility of the display screen is ensured even in direct sunlight in the early morning and late afternoon. 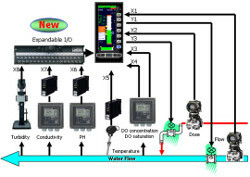 The user can freely access a desired operation screen from meter, trend, bar graph, alarm, and event displays. All parameters can be set via the front panel display. 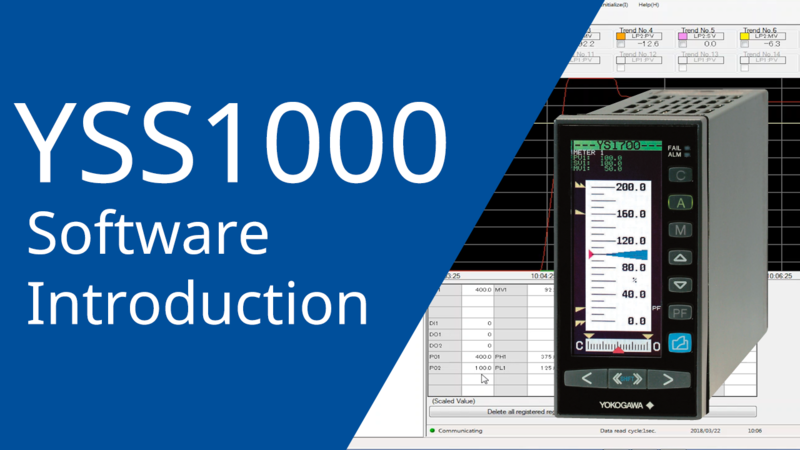 Compatibility with the YS100 series Setting and control operations can be done with the same feel. In the case of the basic type, terminal-to-terminal pitches differ but the signal-to-terminal arrangement is almost the same. 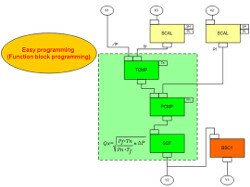 The following functions are included to ensure compatibility with the SMST. ▪ Meter Display was added to the Operation Display.